N° 40, RUE DU TÉLÉGRAPHE, in the 20th arrondissement, is the highest point in Paris weighing in at 144.48 metres or 474 feet. 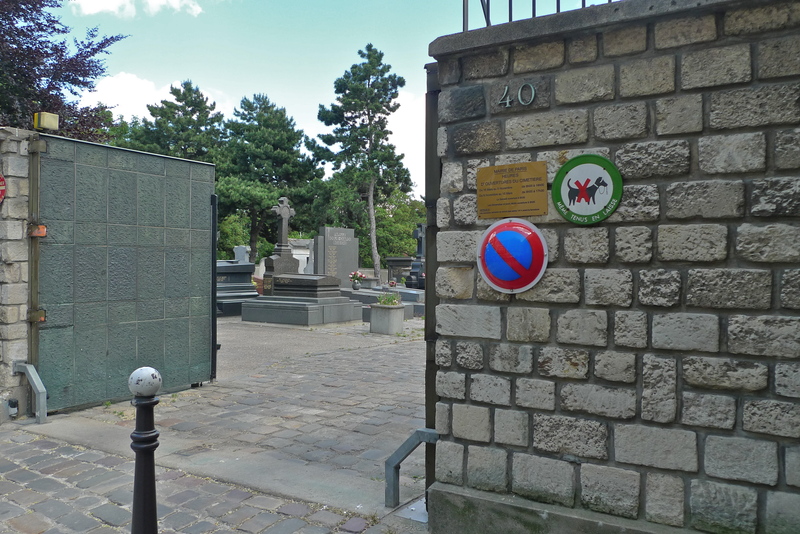 Today, N° 40, rue du Télégraphe, is home to Belleville cemetery occupying land once owned by Louis Michel Le Peletier de Saint-Fargeau … and this site has a history. 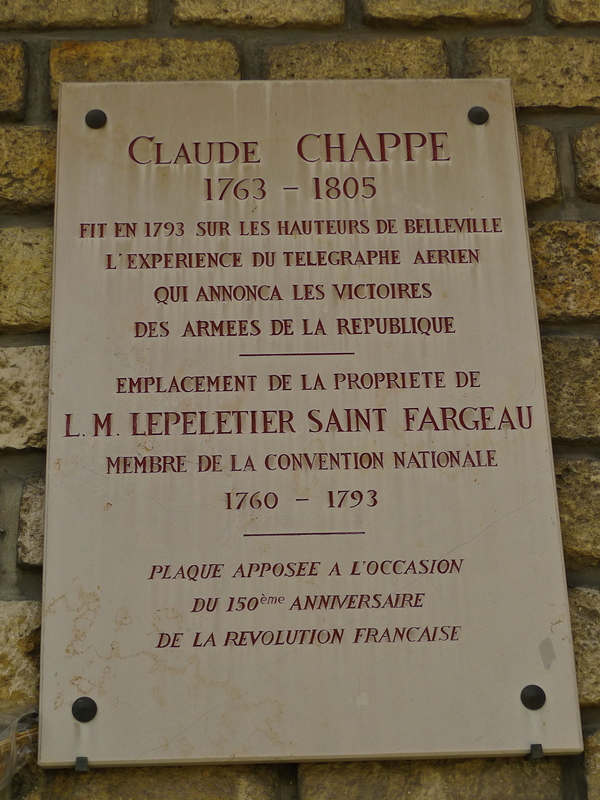 It was on this site in 1792 that Claude Chappe (1763 – 1805), a French physicist, first demonstrated his ingenious semaphore system that eventually spanned the whole of France. 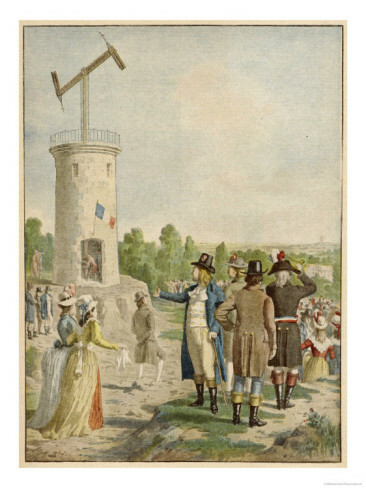 Mounted on a series of towers 10 – 15km apart, the system comprised a pair of telescopes and a mechanical semaphore whose arms could be moved to angular positions that corresponded to letters and numbers contained in a codebook. Chappe’s semaphore, or telegraph, grew to a network of 556 towers covering some 5,000km. This ingenious form of communication was revolutionary since it reduced the time taken to transmit messages over long distances from days to hours or even minutes. The first major achievement came in 1794 when the telegraph informed Parisians of the capture of Condé-sur-l’Escaut from the Austrians less than an hour after it occurred. Chappe’s telegraph became the fastest means of communication of it’s day, a sort of mechanical internet, but it only lasted until the mid 1800’s when it was superseded by the new and even faster electric telegraph. 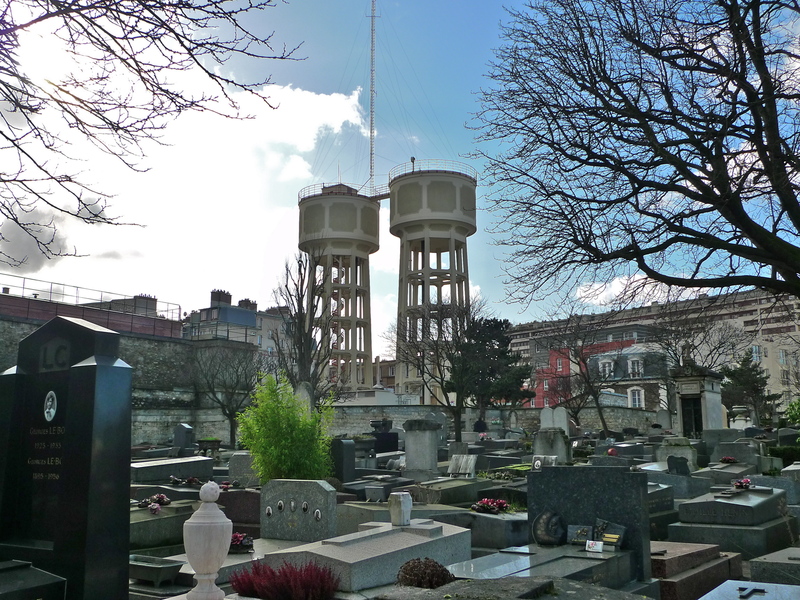 Looking across the cemetery at N°40 rue du Télégraphe today, two modern towers stand more or less where Chappe’s first semaphore tower once stood. And, given their location, it’s perhaps not surprising that these towers carry a communications antenna providing a firm connection with the past. 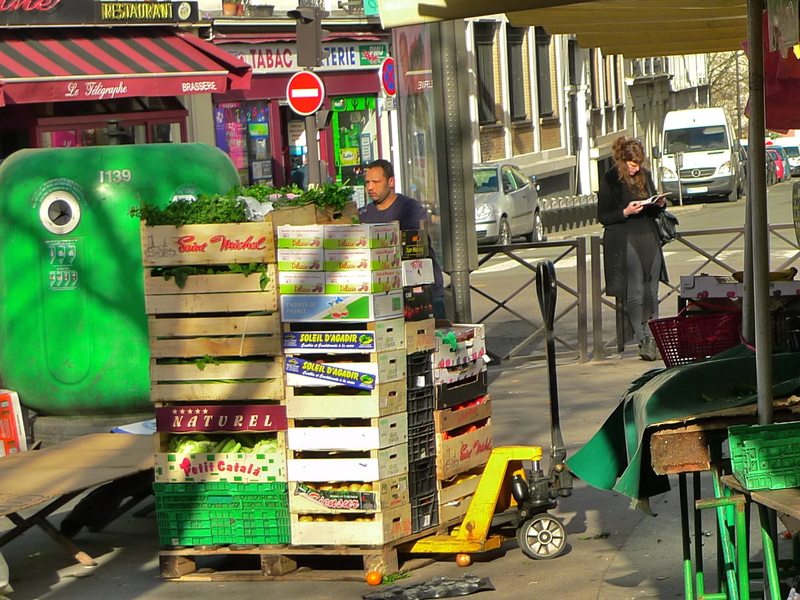 As well as being home to Belleville cemetery, today’s rue du Télégraphe is also home to a busy street market which, when I went to explore the story of Claude Chappe, was packing up for the day. I found the ‘end of the day’ sounds unlike the usual Paris street sounds and fascinating enough to include in my Paris Soundscapes archive. 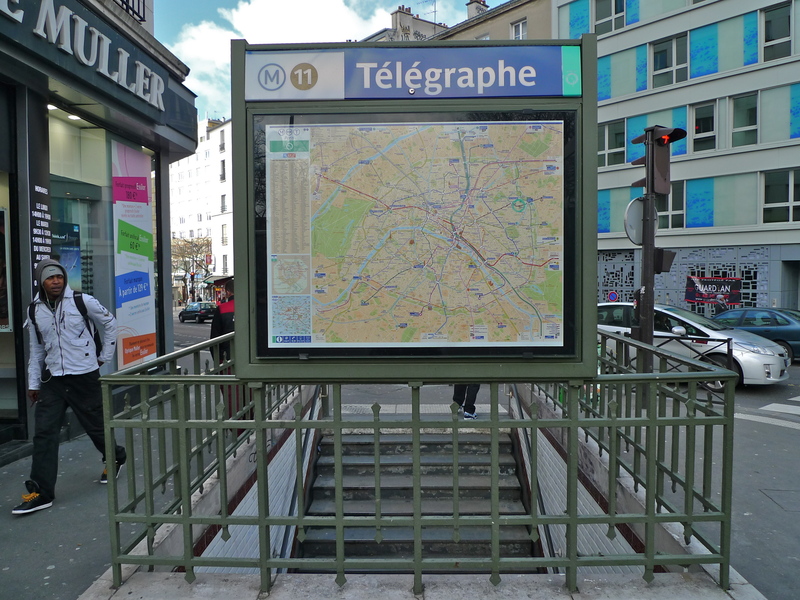 Like the rue du Télégraphe, the local Métro station, Télégraphe, takes its name from Claude Chappe’s invention. 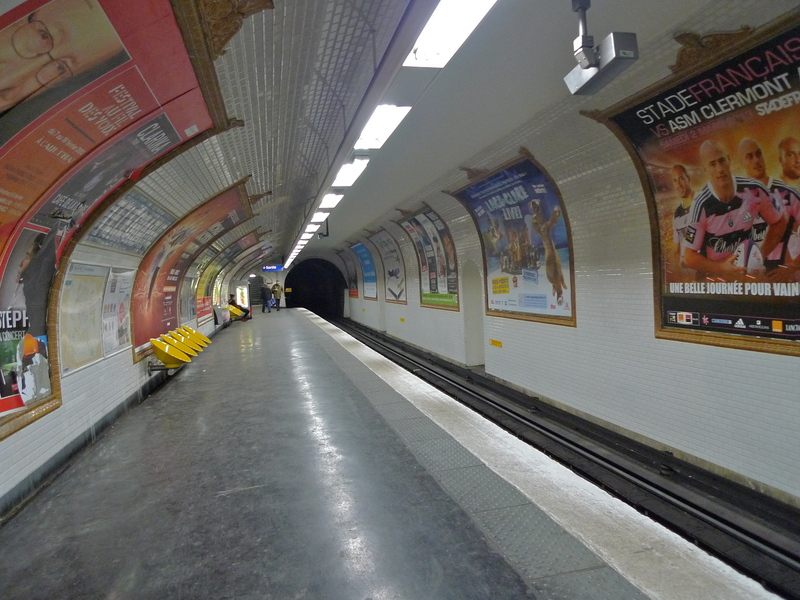 It’s on Métro Line 11 and it’s one of the deepest stations on the Paris Métro system. The depth of the station is obvious when looking at the escalator leading up part way from the platforms to the surface. 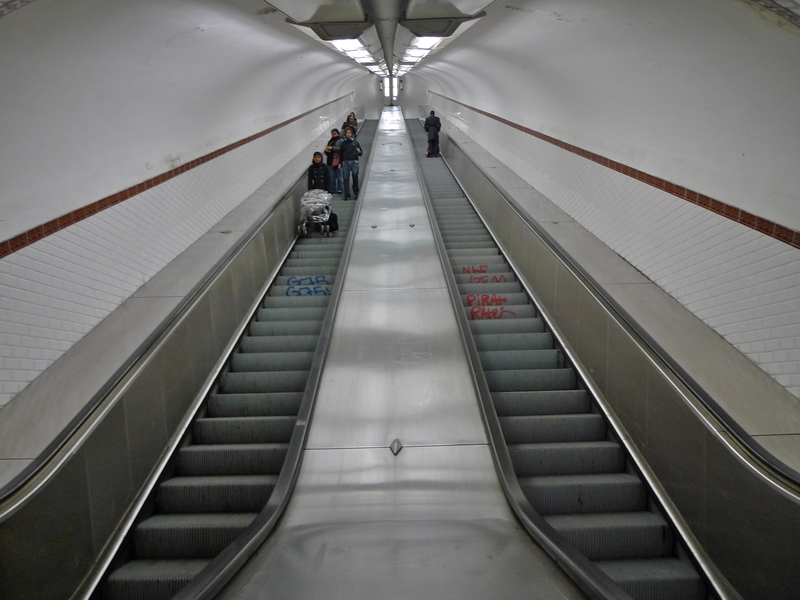 Although escalators of this size are quite common on the London Underground they are quite rare on the Paris Métro. 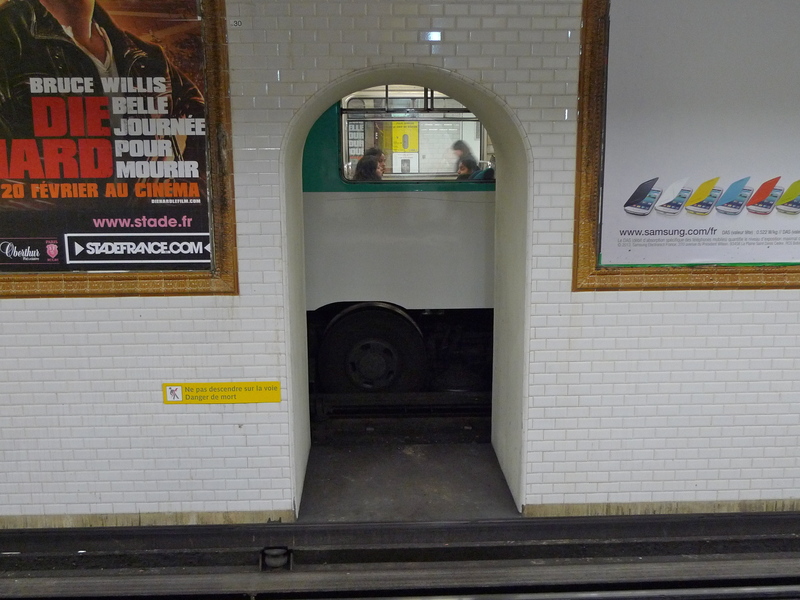 Télégraphe station is also a little unusual in that the two tracks are separated by a wall giving it more of the feel of a London Underground station than a Paris one. The wall is necessary because the station is built on unstable ground, something I prefer not to think about too much when visiting the station! They do though have holes in the wall so that you can at least get a glimpse of the opposite platform. 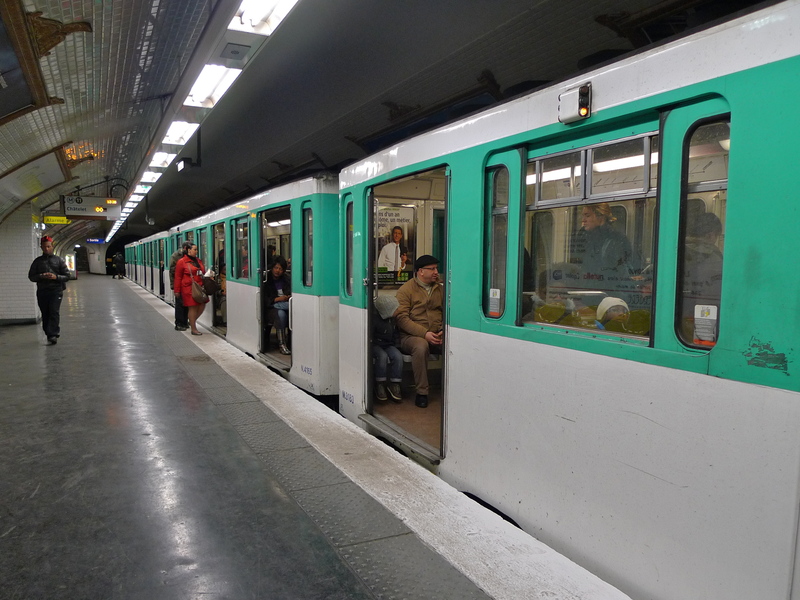 I love the sounds of the Paris Métro. The trains, particularly the older trains with metal wheels, seem to come alive as they wheeze and clatter entering and leaving the stations. But it’s not only the sounds of the trains themselves that I enjoy. I find the sounds between the trains coming and going equally fascinating. They almost always have a much softer, more delicate but none the less interesting appeal. The sound of women’s shoes reverberating as they walk along the platforms, the sound of distant, half-heard, conversations, the unzipping of a bag, the rustle of clothing are all very rich sounds that contrast starkly with the very masculine, dominating sounds of the trains. These sounds are always there if you take time to stop and listen. Télégraphe may be off the tourist track and you probably won’t find it in a guidebook of Paris but it is worth a visit. Like most places in Paris, hidden or otherwise, it has its history, its sounds and a story to tell.